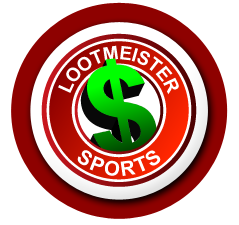 Welcome to the Lootmeister baseball betting advice page! Here you'll find articles written by winning baseball handicappers that offer our readers some direction when it comes to betting on major league baseball games. Our in our estimation, advice is wisdom. We're saving you the time of trial and error by divulging information that can only be obtained by thousands of hours of studying (handicapping), betting and taking our lumps. Our crew has been in the game since the late 90's and has just about seen it all. We're not afraid to admit that we lost for MANY years before we even got a sniff of winning. Baseball betting isn't as easy as it looks, despite not having to deal with a point spread like football and basketball wagering. Bookmark this page and check back every few months as we're always looking to add more to the site! Enjoy our advice and good luck in your quest to hammer your bookie! The Problem in Identifying Patterns in MLB - There have probably been a lot of times in your life where something backfired because you were relying on a pattern. A pattern is a repetitive action that takes place in a finite window of time. In baseball, a pattern is likely due to end once you actually realize that it's a pattern in the first place. In this article, Loot explains how we should exercise caution when basing our wagers on patterns and how those bets never seem to be the slam dunks we envision them being. Click here to read! Your Lifestyle - For those who are deep into basbeall betting, one of the major challenges is maintaining balance in life. With all the time spent on handicapping and watching baseball games, other areas of life that are really more important can end up taking a backseat. And unless you're making a living at MLB wagering, it's hard to justify the amount of time spent on it. In this article, Loot breaks down how we should approach MLB betting and how to avoid it affecting other parts of life. Click here to read more! Getting it Right, But Being Wrong - There is almost nothing worse in any form of betting than handicapping something perfectly, only to have some unforeseen variable cost us a winning wager with some cruel twist of fate. Those losses are the worst to handle emotionally. In this article, Loot helps us understand that these cruel twists are simply the nature of doing business when betting on Major League Baseball. Click here, as Loot breaks down how we should look at it in order to spare ourselves the pain associated with losing an agonizing baseball bet. The Deceiving Nature of Small Favorites - A lot of bettors would be surprised to know how successful a team needs to be to even warrant being a small favorite. When you see a team that even averages out as a small -125 favorite, that team would need to win 90 games a year to even break even at that average quote. In other words, we tend to sign off a bit too quickly on the idea of betting on small favorites. And when we relate the odds to the parity in the sport, betting on favorites takes on a different light. Click here, as Loot breaks down the deceiving nature of small favorites in MLB betting. Baseball Betting For Beginners - We've heard the story a thousand times... A newbie comes along thinking he's going to conquer the world of baseball betting and ends up blowing out his whole bankroll within the first week. There are a certain set of rules you need to live by in order to create the proper foundation for sustaining your bankroll. This is one of the most valuable articles you will ever read regarding the topic. What is the Triple Crown of Pitching? - What is the triple crown of pitching? Not as publicized as the triple crown of hitting, the triple crown of pitching might be even harder to achieve with such a short number of past winners. In this article, Loot tells us all what a pitcher needs to do to win the triple crown of pitching, while showing all the past winners of the award, while illustrating how difficult it is to earn this honor. Take a look! Proper Money Management - While the topic is somewhat boring, we list it first because outside of picking winners, it's the most important variable to baseball betting or any sport for that matter. Print this article off and pin it to your wall. Too many gamblers fail because they don't stick to these simple rules that you must set for yourself. Major League Baseball Betting Quiz - Are you a master of understanding baseball betting? Or you more og a greenhorn who could stand to do a little homework? Find out with this quiz on baseball betting knowledge. Keep Your Emotions in Check - This is another not-so-exciting article, however, you really need to read it. It's a major downfall of most baseball gamblers. Don't let it happen to you! Avoid Betting Big Favorites - Loot urges readers to avoid the temptation of betting the high odds favorites that look like easy money in favor of wagering on underdogs or taking a favorite on the runline (-1.5) as a worst case scenario. Wagering on a -200 fav. creates a situation where you have to win at an unattainable rate in order to turn a profit. This move will surely have you chasing losses and never allow for you to be in the plus. Value of Betting Mild Underdogs - This is truly the best way to wager on baseball games. You can hit less than 50% and still show a profit. This is where you want to be as a baseball bettor. Loot talks about perceptions of good and bad teams and how in other sports, good teams get beat and it's considered an upset, while in Major League Baseball a bad team can beat a good team and it's "no big deal." Choosing Advice Wisely - Loot points out that you'll hear lots of opinions but very few are worth adhering to. While most think ESPN announcers and talk show hosts are baseball gurus, they may be in their own sense, but when it comes to betting it's a whole different world. What to Do When Losing - Loot points out that bettors need to learn to overcome their stubbornness and abort what isn't working. This may also include taking some time off to get yourself out of the rut you're stuck in. Baseball is a game of failure where even the best hitters don't get a hit 70% of the time! Baseball is a grind and is all about winning a little bit more than you lose. Baseball Betting Psychology: The Mental Wiring of a Good Gambler - Loot talks about the importance of knowing the math and the inner workings of the game in a sport where the peaks aren't as high and the valleys aren't as low as other sports. He emphasizes that your goal shouldn't be to win every game, but to create an edge over a long period of time. He closes out with talking about how it's important to not get too high during winning streaks or too low during bad spells. How Stats Can Be Misleading - Lootmeister advises readers to not put too much weight into season stats, instead, drilling down to uncover more important variables that apply to today's specific matchup such as hitter vs. pitcher, hitters facing the opposite hand pitcher and how some players play better in day vs. night games and likewise. Dealing With Betting Biases - We all grew up a fan of some team or some player. That's how we all ended up here. Loot gives advice on how to deal with betting on your favorite team(s) and advises how you need to remove your "inner fan" from your approach. My advice? Don't bet on your favorite teams. It never seems to work out long term. The Best Time to Bet on Baseball - Loot believes that things are in his favor when they appear to be unstable to others. Advantages can be found if one is willing to do their homework. In this article, he gives advice on why April is the best month to bet on MLB games. Assessing Pitcher's ERA - It blows my mind how many baseball handicappers aren't familiar with how ERA works and what is considered to be both a good and bad earned run average. ERA is the meat and potatoes of pitching statistics as it's a true indication of how many runs a pitcher is likely to give up over the course of 9 innings pitched. Ya gotta know it!